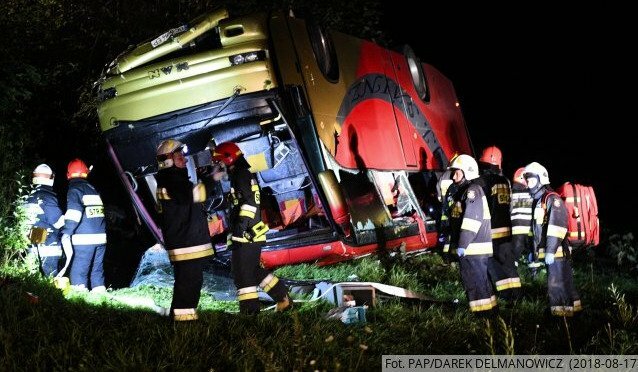 As a result of the accident with bus in Poland carrying tourists to Austria, 10 Ukrainian children were hospitalized, RMF24 reports. According to the Polish crisis center, as of 10:00 on August 18, 37 people, including 10 children were in hospitals. Note that there were 54 people in the bus. As the head of the Consular Service Department of the Ministry of Foreign Affairs Vasyl Kyrylich said on 112 Ukraine, 37 people were hospitalized as a result of the accident, one of them is in serious condition.